​​Imagine a neighborhood with a deep sense of community nestled on 361 acres of pine forest, meadows, and pastureland. Imagine living near Durango in Southwest Colorado, where the sun shines over 300 days each year and where the San Juan Mountains and red rock canyons of the Colorado Plateau are close enough for a day hike. Imagine coming home to the smiles of friendly faces lighting up as you walk by. ​​At Heartwood, you know your neighbors and are known by your neighbors. You can plant a garden, raise a family, form deep friendships, and find your home in community. 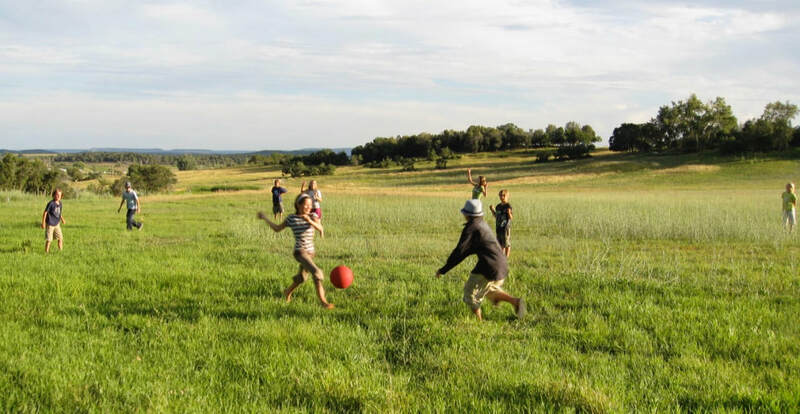 Heartwood kids playing soccer down in the pasture. A wreath is always better when you make it yourself. We've packed a lot of information into this website. 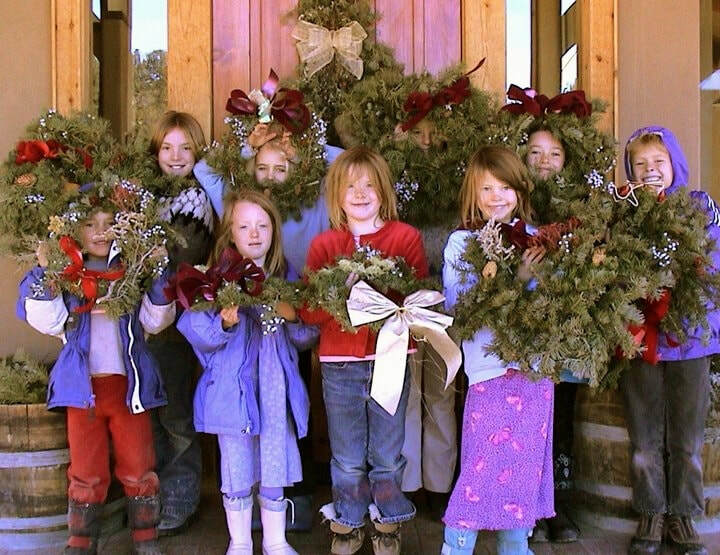 Take a look around and virtually explore Heartwood Cohousing. If you like what you see, click on the "GET IN TOUCH" link for information about Heartwood and to stay in touch. We are now creating a second phase of our community. Click here to learn about Phase 2.